There are many reasons, but one major reason is that the winner is given money that is tainted—thus tainted energy, because that is what money is—energy. Why do millions play the lottery and hope to win this tainted energy? The vast majority will be those who feel “a lack” in their lives. It is a game for the sheeple—the name by which the dark cabal or Illuminati refer to the general public. Many who play spend their grocery money for tickets. Many deprive themselves or family of something they truly need with the hope and prayer that they will win and everything will be okay. The well advertised fact that the chances of winning are next to zero appears not to influence the decision to spend money needed elsewhere on lottery tickets. There is an everflowing fountain of hope within humanity … “maybe this time I will be the lucky one.” And enough people win “something” to keep boosting the hopes of those who play. A second major reason is that we live and move and have our being within the energy of Divine Love. Our Mother/Father God gives to us gifts that are not tainted with the hardships and misguided prayers/investments of many. God’s gifts come from the Universe of Love. If money is needed, God already knows that need and has an unending supply of outlets for fulfilling that need. In fact, we may never know from whence the money to fulfill our need came. 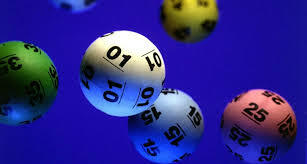 Others may play the lottery hoping to win money that will allow them to help others. The motive is honorable, but why play a game that affords near zero chance of winning? On the other hand, our Mother/Father God is 100% dependable as long as the request is within Divine Order and in accordance with the Soul Contracts involved. When we focus on the avenue through which we decide the answer to our prayer will come, we are saying to God, “I want you to answer my prayer in this particular way.” We close the door to a universe of other possibilities. The story is told of a man stranded on a rooftop during Hurricane Katrina. He prayed to God to rescue him. A man came by in a boat … a helicopter hovered overhead … both offering to rescue him. The man refused. He was waiting on God to rescue him. When an angel did not appear to rescue him, he felt that God had not answered his prayer … he had told God how to he wanted to be rescued and God had not listened. That’s what we do anytime we focus on a particular answer to our prayers. I have learned over the years to simply state my need and ask that the need be fulfilled within Divine Order … in the way the Universe considers best. I call prayers to win the lottery misguided because they are telling God how to supply your need. A much better way—based on Love, not deprivation of others—may be waiting in the wings. If the prayer appears to be unanswered, there can be very good reasons. Our ways are not God’s ways … we see about 2% of what is around us; God is aware of 100% and also knows an unanswered prayer on the physical level may very likely be an answered prayer on the Soul level. Our Soul Contract may have intended our particular need in order to give us an opportunity to learn a lesson we would not otherwise learn. God’s timing is also not our timing. The Kingdom of God is within of us … our Mother/Father God wills to find expression through each of us. As we surrender to Divine Will unfolding, we will have all we need to fulfill our Soul’s Mission on this planet. If we place our faith in winning the lottery, there is very little chance we will accomplish our Soul’s Mission. Jesus taught: “Have faith in God. Truly I tell you, if you say to this mountain, ‘Be taken up and thrown into the sea,’ and if you do not doubt in your heart, but believe that what you say will come to pass, it will be done for you. So I tell you, whatever you ask for in prayer, believe that you have received it, and it will be yours.” (Mark 11:22-24) Here is the hard part from a 3rd/4th dimensional plane. We find it difficult to believe we already possess something we cannot see or hold in our hands. However, the more we practice behaving as if and taking the first steps, the easier it becomes to hold that belief steady in our mind and heart. In summary, I will not play the lottery because I had much rather depend upon Mother/Father God and experience God’s avenue of supply rather than one I choose on the basis of it being an avenue—regardless of how unreliable—I can see with my physical eyes.